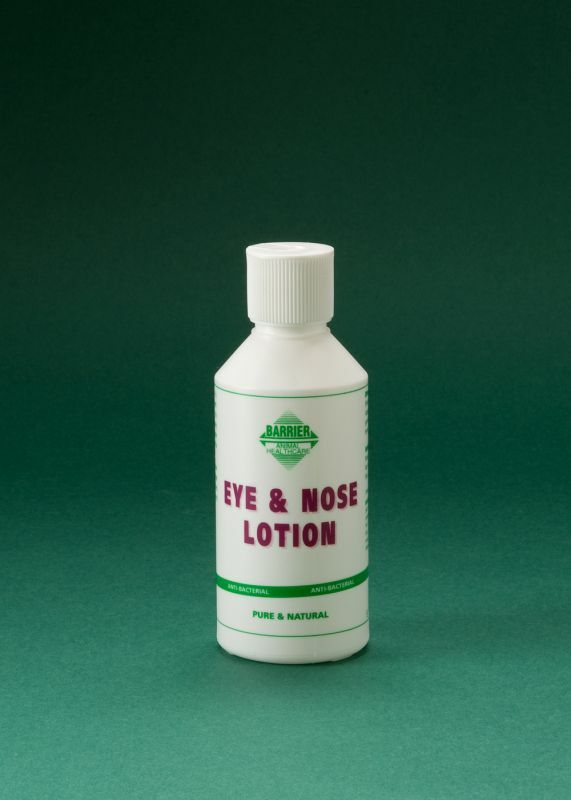 Anti-bacterial Eye & Nose Lotion is kind and gentle yet strong enough to remove discharge away from the eyes and nose and prevent bacteria accumulating. Contains: Our clear gel formulation for quick and easy absorption contains only the purest natural, non-toxic herbal concentrates. Soothes and Calms: Helps to soothe and calm raw areas. Nuisance Flies: Keeps disease carrying flies away from the eyes and nasal passages. Application: Flip-top lid for ease of application. Shake well before use. Apply with damp sponge , cloth or cotton wool and gently wipe around the eyes and nasal passages.